I am going to start with the cameras name. Sony are NOT calling this a mark 2, they are pitching it as more like a ‘plus’ model. 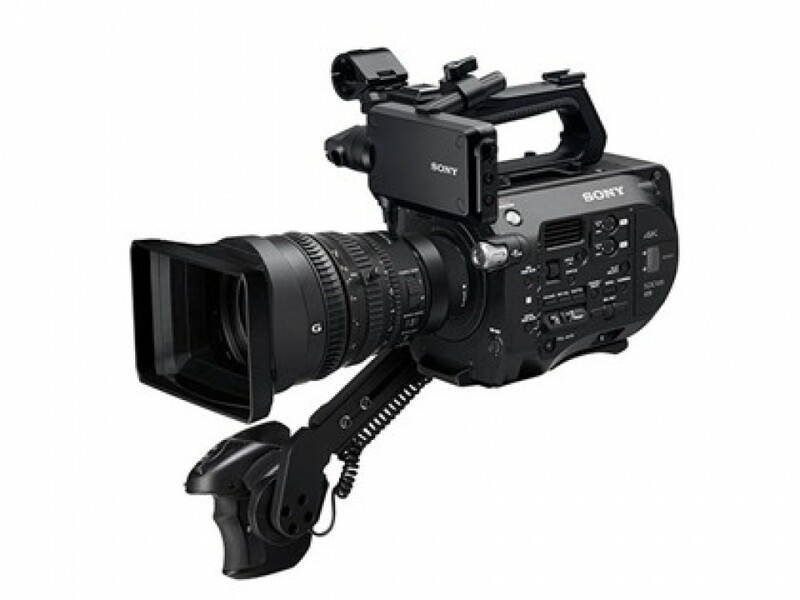 They are calling it FS7-2 or FS7-M2. They are keen to say FS7 is not being replaced, and there are no current plans to do any trade-ins. Technically, you can buy some of the ‘upgrades’ as spares to upgrade FS7, like the grip arm and LCD bar mount, but as far as I am concerned, it’s the variable ND that is its real selling point, which cannot be achieved with upgrades. I am in good company, as Alister Chapman’s favourite feature is also the variable ND, like on the FS5. It is 1/4ND to 1/128ND, so the depth of field can be much more consistent, which means more constant footage. You can assign to thumb wheel on handgrip, but there’s a little bit of latency. The new Sony K version lens – 18-110mm F4 is a vast improvement from the original kit lens. The old lens, 28-135mm F4, used a motor and was slow, but the new one can crash in and out, as it is mechanical. Also, the shutter is integrated into the lens hood (and as a fan of the EX3 I love this, more than I should! No more missing lens caps at the bottom of a camera bag). Nothing earth shattering, but Sony has tackled some of the issues with the FS7 in the FS7-2, such as improved viewfinder hood, easier to adjust grip arm, variable NDs and heavier duty lens mount, but is all this worth the extra £2k?